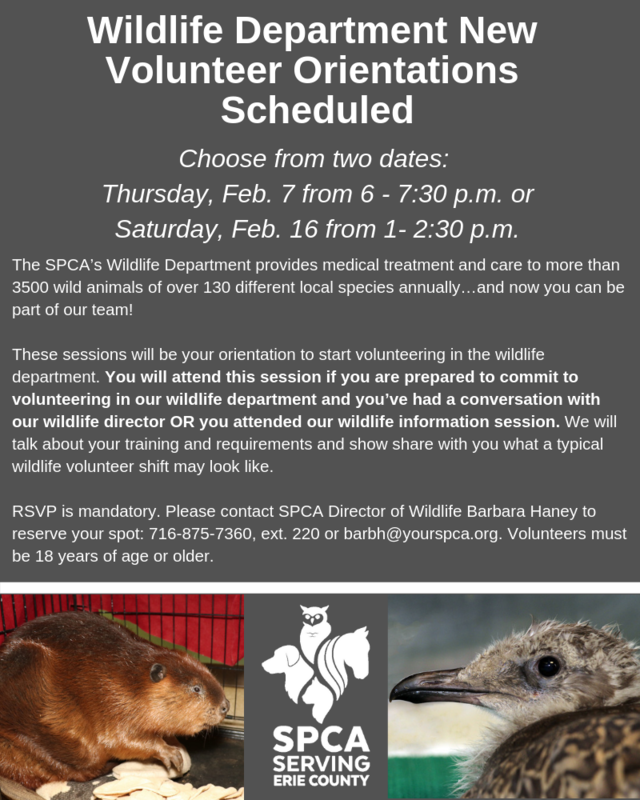 SPCA Wildlife Department volunteer orientations are scheduled! 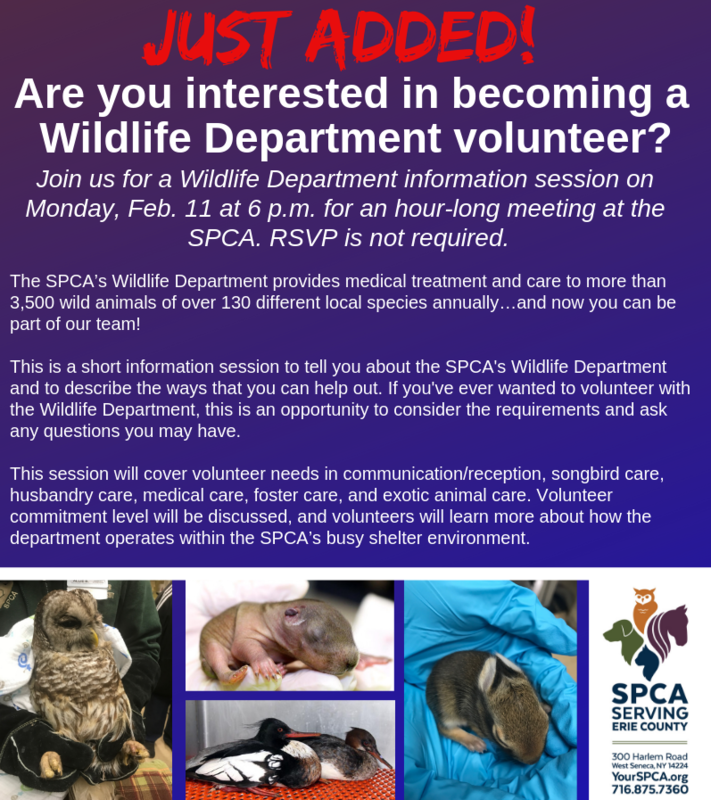 If you're interested in working with some of our area's coolest animals, consider becoming an SPCA Wildlife Department volunteer! An information session and two orientations are scheduled and we hope to meet you there!